Lilyking Stoves are extremely well known internationally for their high quality stoves which are coupled with fantastic design and innovative contemporary features. To ensure that their stoves are made to the highest of qualities, Lilyking stoves will only uses high quality materials. They do business on the basis of their working quote “Quality is everything”. From the paint to the glass doors, the quality of these fantastic stoves can been seen throughout. If your one for top quality and high standards at a fantastic price. Lillyking Stoves are for you. Lilyking Stoves are a fantastic make of stoves, they are one of the most advanced traditionally styles stoves around. They push the boundaries to include technology into their stoves, however they will not compromise on the design and look of their traditional stoves just pack it full of technology. “A stove must be functional, as well as being advanced”. The majority of Lilyking stoves all come with excellent clean burn technology. 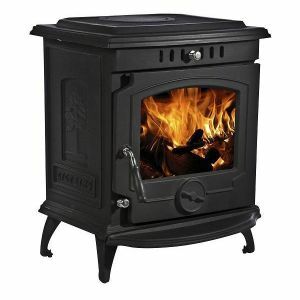 Due to the complete system of production, quality control, technical research and customer service, Lilyking Stoves can assure you of top quality stoves at fantastic prices. No one can warm you like a Lilyking Stove!